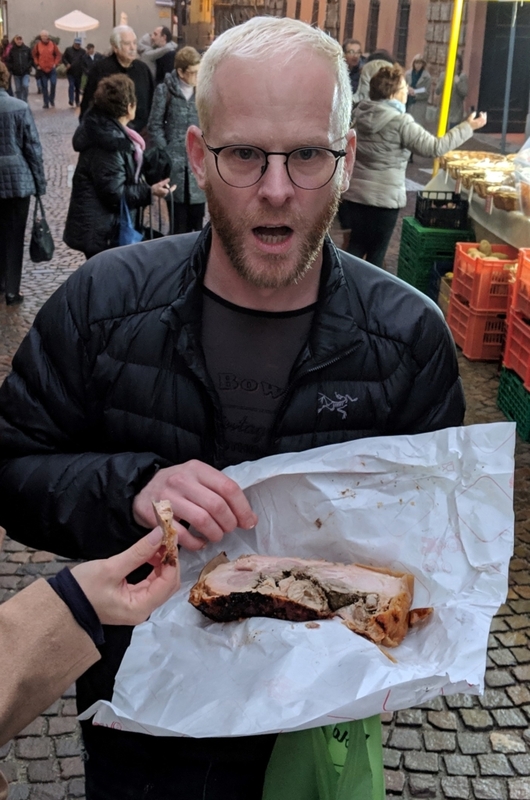 The emergency porchetta was my favorite part of the trip. That is a strange thing to say for a lot of reasons. For one, I don’t know if the concept of emergency porchetta is widely known. A Google search for the term reveals four results, the most salient of which is someone looking for cooking advice. “Emergency porchetta question” they write. But the urgency seems to come from the nature of the query itself, and not the hunk of roast pork it pertains to. For another, we had a great trip. Despite the endless rain and the grey skies and the hotel mishaps and the projectile vomiting on the side of the road in Genoa (my apologies to all who witnessed it), we had a wonderful week in the north of Italy. So many things happened that reminded me of why I love to travel.